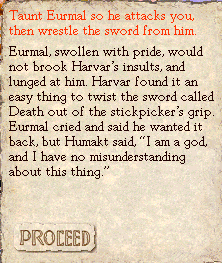 Harvar was so badass that he apparently literally turned into Humakt for a second there. Harvar goes to his family and says, "In order to properly command the new weapon called Death, I must sever my ties to you." His family wails and asks why this must be. 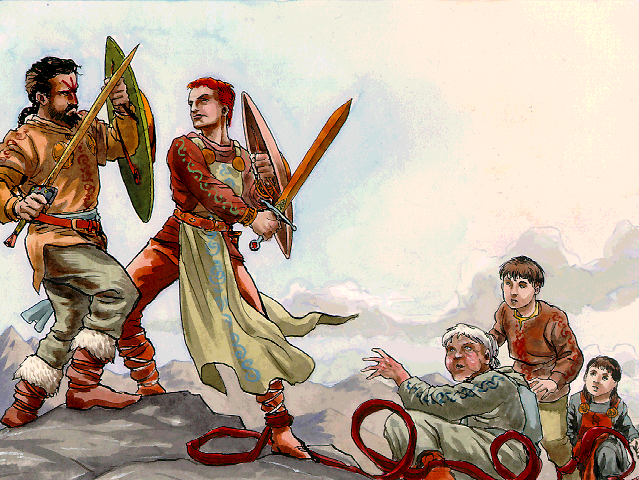 -"Death must be impartial; I must not have kin, lest I shield them from its embrace." -"Humakt did this, so I must do the same." -"I must absolve my king of the heinous acts I will now do." -"I must cut myself off from kindliness and love, for I have terrible deeds to perform." The legends may or may not be useful here.